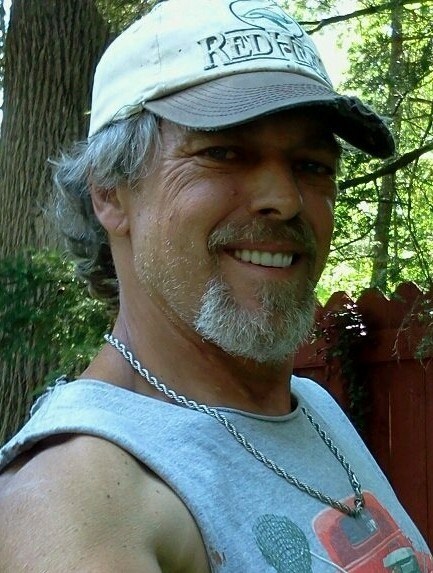 William Gregory Cash, 57, of Chuckey, passed away Saturday, April 11, 2015 in the Johnson City Medical Center. William was a native of Erwin. He was a son of the late William Odell and Lola Juanita Bailey Cash Banner. William was a man of many talents. In addition to working as a mechanic and construction worker, he was also a skilled artist. He had many friends, and was loved by everyone. In addition to his parents, several aunts and uncles preceded him in death. Survivors include: his wife, Carla Denise Cash; four children, Miranda Cash Thomas, Cristina Cash, Stephanie Cash, and William Cash II; five grandchildren, Gabriel Thomas, Isabella Thomas, Narayah Cash, William Noah Cash, and Hunter Cash; five siblings, Gary Cash, Charles Cash, Mary Lougheed, John Banner, and Tammy Aspin; step-father, Marvin Banner; and several nieces and nephews. The family of William Gregory Cash will receive friends from 12:30 pm until 1:30 pm Wednesday, April 15, 2015 in Morris-Baker Funeral Home. Following the visitation, family and friends will proceed to Roselawn Memorial Park for a 2:00 pm graveside service. Mr. Bill Booth, Minister will officiate. Pallbearers will be selected from family and friends. I am so sorry his journey here was so short but his beautiful creations remain among us with this children, grandchildren and beautiful art work. A very unique and talented man. A great man who will be missed by many. My deepest sympathy to William’s family. I am a folk art collector that had the fortune to purchase one of William’s sculptures from Sterling Kimbell’s auction. I will cherish it and William’s passion to make something thought provoking and beautiful from a stone. Art is Love and He had A lot of Love…..
Mandy, so sorry to see your father’s passing. Jim and I both went to school with him. So very sorry for you and your family Prayers will continue for you. The first time we met, it was as William Cross. He looked up at me and immediately he said ?You are a big man, with a big spirit. So is the bear.? With that he removed the leather necklace which he was wearing and placed it around my neck. The pendant was a carved stone image of a bear. I treasure his spirit and that memory of thoughtfulness. Our most sincere condolences to his family. Pleas know his presence will be with us and many, many more through the art he created and which we enjoy. God bless. Greg was alway such an awesome guy. No matter the problem, he could always figure a solution. What a great person, friend, artist!! The last day I saw him he was across the auction gallery from me and I just pointed at him. I didn’t know it until a few days later that he was waiting to hear back about his biopsy. I knew there was something wrong in his eyes and had no idea but he still smiled at me. My deepest condolences to the family and friends. He was an awesome person with a huge heart. He will be missed dearly.